This is a beautiful antique Victorian box, made of solid Oak. 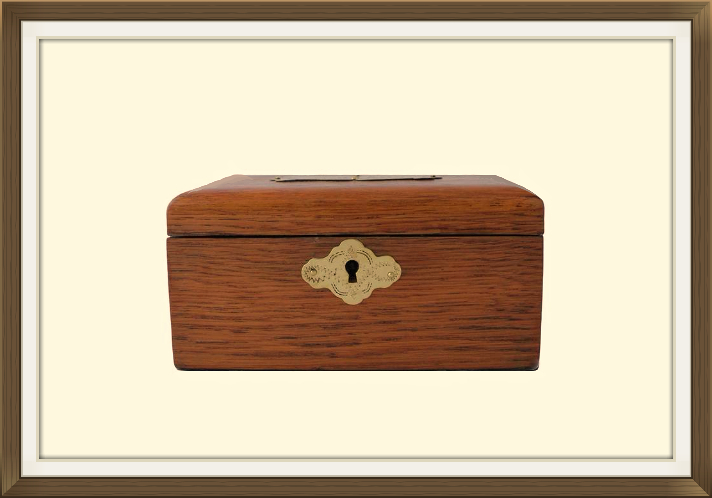 The lid is decorated with a large brass plaque and the keyhole has a matching escutcheon. The brass work is beautifully hand engraved, and securely fixed with its original brass pins. The Oak has a wonderful colour and figuration. 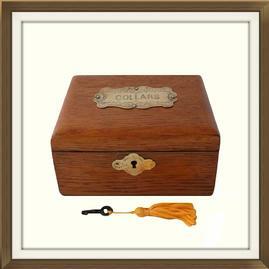 The box is complete with its original brass hinges, brass lock, and key. 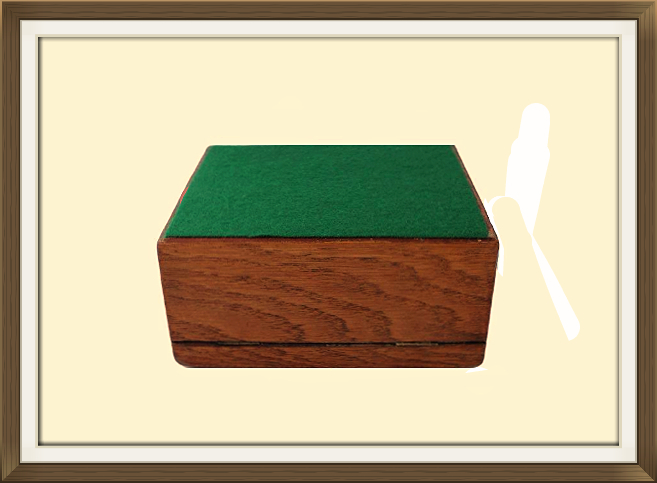 A new green felt cover has been added to the base, to protect the surfaces of your furniture. A new cream paper lining has been added to the interior compartment. 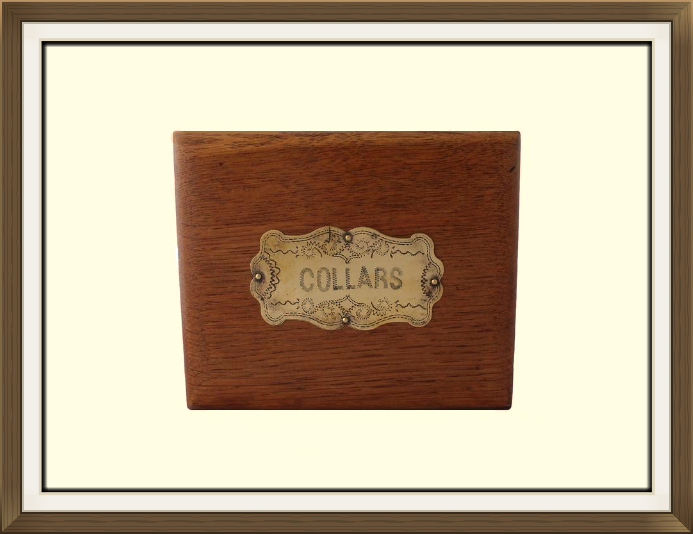 This box was originally designed to store collars that Victorian gentlemen wore. 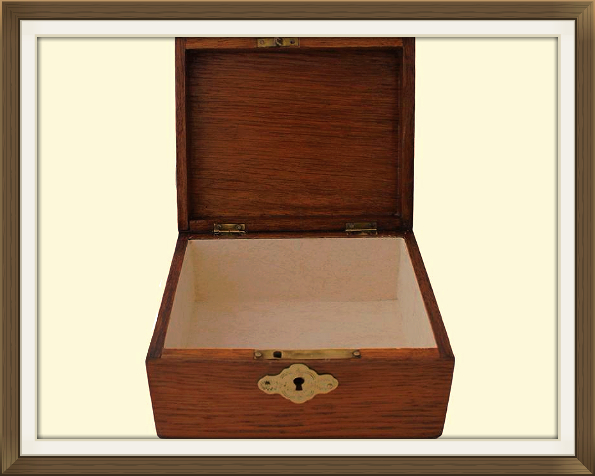 It is a fabulous piece of social history and it now makes a functional jewellery box! This box may be of particular appeal to dress makers or tailors. The box is in excellent antique condition. It is structurally sound and has very little wear. The hinges are in excellent working order and the box locks securely. 12.9 by 10.2cm with a 4.7cm depth.